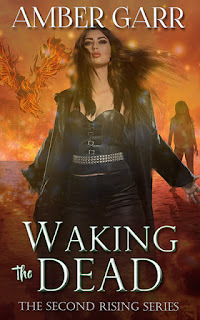 Summary from Goodreads: On the evening of Sofia Claremont's seventeenth birthday, she is sucked into a nightmare from which she cannot wake. 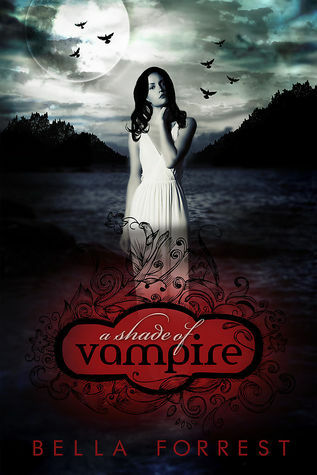 The Review: I will always love vampire stories, but I’m sorry to say that I don’t get all of the hype around this book. To me, it read like a first draft that I’d review in a critique group – and I think this story would have benefited greatly had a critique group been a part of its process. Between the zero character development, poor story structure, and really rough dialogue, I struggled to finish it. Having to name everything (The Sanctuary, The Cells, and many more) was distracting enough and then I just felt so…disappointed...that we didn’t get a chance to really know the characters and enjoy the setting. I do think the idea had potential, and in a perfect world, I’d love to see a totally updated version of the story. Unfortunately, I don’t think that’s going to happen as there appears to be numerous sequels (which I’m not planning on reading). For the life of me, I can’t understand how Sophia went from the scared, I-must-run-away girl to “I’m in love with my captor”. And Derek – the 400 year old vampire – while he had the potential to be intriguing, I fear that the author missed a chance to make him that mysterious, old fashion, odd-speaking prince. So much more could have been done. Sigh. Had some of these issues been flushed out a little better, perhaps I could have jumped on board – at least a little more. But unfortunately they just weren’t. The whole book fell flat and all of the rave reviews tricked me. I suppose it just wasn’t for me. And thus, I must give A Shade of Vampire one of my lowest ratings ever. The Good: Potential. It’s there…just poorly executed (and very disappointing). The Issue: Reads like a rough first draft at best and just a tough story to get through in its current form. The Rating: 2 conch. Sorry to say that I wouldn’t recommend and I won’t be continuing the series.